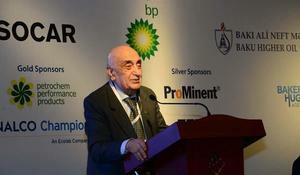 The final investment decision on the SOCAR GPC plant will be made in the fourth quarter of 2019, Rauf Guliyev, Finance Director of SOCAR Polymer, said at the 4th SOCAR International Caspian and Central Asia Downstream Forum on Trading, Logistics, Refining and Petrochemicals in Baku, Trend reports. 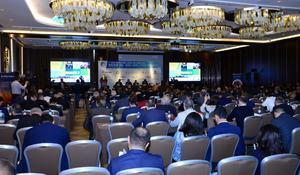 The 4th SOCAR International Caspian and Central Asia Downstream Forum on Trading, Logistics, Refining and Petrochemicals is underway in Baku on April 22, 2019, Trend reports. Average price of AZERI LT CIF, extracted at Azerbaijan's Azeri-Chirag-Gunashli block of fields, was $74.07 per barrel on April 15-19, or $0.55 more than the previous week, Trend reports April 22. 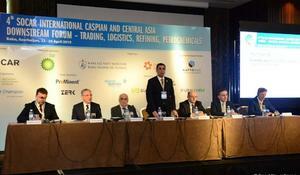 Until today, Azerbaijan has supplied 506 million tons of oil to foreign markets, Khoshbakht Yusifzadeh, First Vice-President of SOCAR, said at the 4th SOCAR International Caspian and Central Asia Downstream Forum on Trading, Logistics, Refining and Petrochemicals in Baku, Trendreports. Presently, the oil prices are at a satisfactory level, while the level of compliance with the December OPEC deal + is increasing monthly, Azerbaijani Minister of Energy Parviz Shahbazov says, Trend reports on April 22. 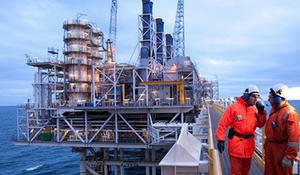 BP, the world-famous British oil and gas company, has been successfully working in Azerbaijan for many years. 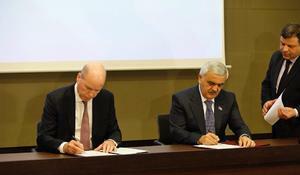 In 2017, Azerbaijan and BP extended their agreement to develop the ACG fields to 2050, a deal dubbed by the Azerbaijani government as "the contract of the century" when first signed in 1994. The arrangement was initially due to run until 2024. Azerbaijan possesses new promising gas fields that can be used as additional sources to further expand Azerbaijan's gas transportation volume to Europe. 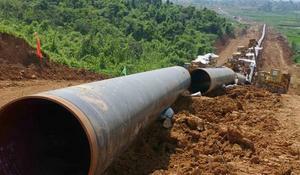 By April 1, 2019, over 1.5 billion cubic meters of gas were transported via the Trans-Anatolian Natural Gas Pipeline (TANAP) to Turkey, Energy Minister of Azerbaijan Parviz Shahbazov said, Trend reports April 22. 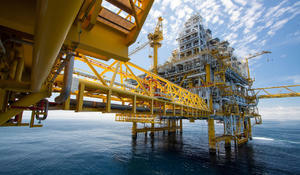 As of today, 104.2 billion cubic meters of gas and 25.1 million tons of condensate were produced at the Shah Deniz field in Azerbaijan, Energy Minister of Azerbaijan Parviz Shahbazov said, Trend reports April 22. Azerbaijan not only maintained, but also strengthened its position after withdrawing from the Extractive Industries Transparency Initiative (EITI), the State Oil Fund of the Azerbaijan Republic (SOFAZ) told Trend. 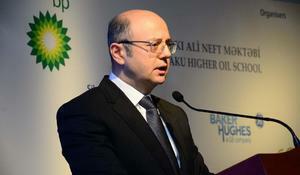 The final investment decision on the further development of Azeri-Chirag-Gunashli (ACG) block of oil and gas fields in the Azerbaijani sector of the Caspian Sea will have a minimal impact on the consolidated financial results of Japanese INPEX company, one of ACG shareholders, Trend reports citing INPEX. Azerbaijan and Georgia maintain high-level relations in all spheres, especially in the energy field. Both countries have taken initiatives for global projects in the region. Presently, SOCAR (State Oil Company of Azerbaijan) is the major supplier of natural gas, oil and oil products to Georgia. 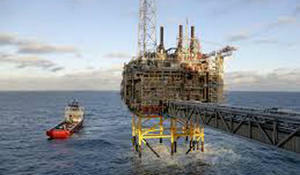 The Norwegian international energy company Equinor has stated on their website that the decision to add one platform to Azeri-Chirag-Gunashli (ACG) block of oil and gas fields in the Azerbaijani sector of the Caspian Sea is contributing to Equinor’s international strategy. Crude oil futures rose on Friday amid falling exports from Saudi Arabia, the de facto leader of OPEC. 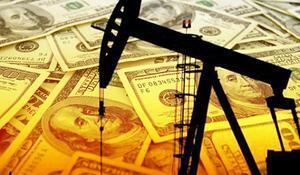 The price of "black gold" was also supported by the decline in U.S. stocks. 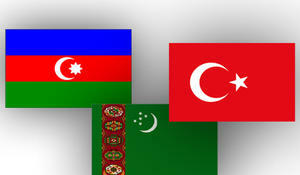 Energy Ministers of Turkey, Azerbaijan and Turkmenistan Fatih Donmez, Parviz Shahbazov and Charymyrat Purchekov will discuss energy issues at a joint meeting, Trend reports referring to Turkey's Ministry of Energy and Natural Resources. 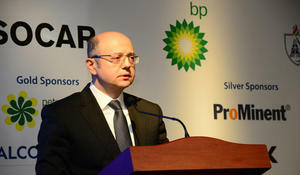 BP, the operator of the development of the Azeri-Chirag-Guneshli (ACG) block of fields, has suspended production at Central Azeri platform for technical maintenance, Tamam Bayatli, the Head of Public Relations Department of the company, told correspondents in Baku, Trend reports. 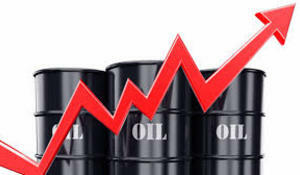 The price of the AZERI LT CIF oil produced at Azeri-Chirag-Gunashli block of oil and gas fields amounted to $74.5 per barrel at Italian port of Augusta on April 18, which is $0.09 more than on April 17, a source in Azerbaijan's oil and gas market told Trend on April 19. 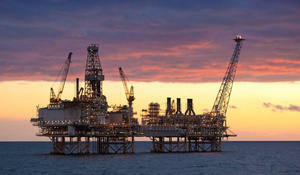 Azeri Central East (ACE) project, the next stage of development of the giant Azeri-Chirag-Guneshli (ACG) field in the Azerbaijani sector of the Caspian Sea, has been sanctioned. Azerbaijan's SOCAR AQS completed drilling at one of the wells in Bangladesh in January 2019, Ramin Isayev, chief director of SOCAR AQS, said at a briefing in Baku on the activities of the enterprise, Trend reports. The price of the AZERI LT CIF oil, produced at the Azeri-Chirag-Gunashli block of oil and gas fields, amounted to $74.41 per barrel at the Italian port of Augusta on April 17, or $0.63 more than on April 16, a source in Azerbaijan's oil and gas market told Trend on April 18. 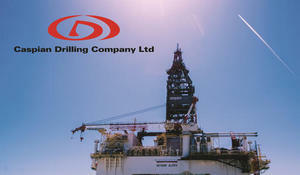 Turan Drilling & Engineering Company LLC, which is a joint venture of Azerbaijan’s SOCAR AQS and KCA Deutag international oilfield services company, will commence drilling operations in early May. Heydar Aliyev semi-submersible drilling rig has drilled the deepest well in the Caspian Sea, Azerbaijan’s Caspian Drilling Company (CDC) told Trend. 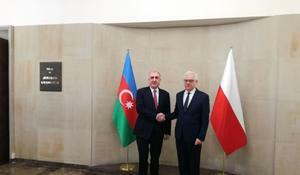 As part of his official visit to Poland, Azerbaijani Foreign Minister Elmar Mammadyarov met with Minister of Foreign Affairs of Poland Jacek Czaputowicz, Trend reports on April 17 with reference to Azerbaijan’s Foreign Ministry. The price of the AZERI LT CIF oil, produced at the Azeri-Chirag-Gunashli block of oil and gas fields, amounted to $73.78 per barrel at the Italian port of Augusta on April 16, or $0.2 more than on April 15, a source in Azerbaijan's oil and gas market told Trend on April 17.